The two terms “United States” and “combined driving” instantly trigger a third: “Chester Weber.” He’s the most celebrated and accomplished combined driver in the country, finding his love for the sport on his family’s Live Oak Plantation in Ocala, Florida. 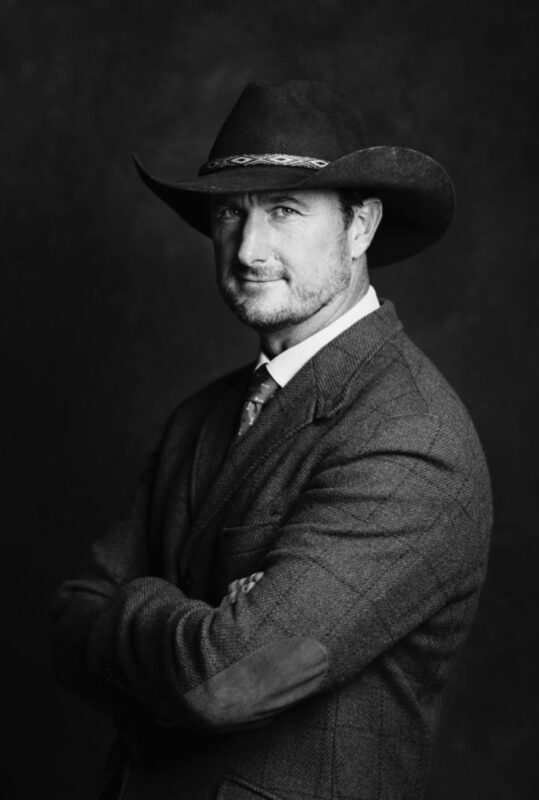 The youngest driver to ever make the U.S. Equestrian Team at the age of 18, the now 42-year-old competitor has also made his mark on the sport by continuing to give back—serving on various committees and organizing events. NF Style: At what exact moment did you fall in love with horses? Chester Weber: When I was 13, I think that’s when I knew I wanted to pursue a life with horses. I grew up around horses with parents in the Thoroughbred racing industry, so it’s been a part of my life since day one. For riding, do you prefer black boots or brown boots? If you could do any other equestrian discipline what would it be and why? Cutting, because I really admire how the horses are drawn to their work. They have to love it. For sure there is a lot of training involved, and I have a lot of respect for people who do that. I am just so impressed from the little bit that I have seen, by how innate those horses are bred to do that. What is the most embarrassing thing to have ever happened to you while riding? Probably going off course, in 2006, on Sunday in the cones phase at the World Equestrian Games when I was vying for a top 10 spot. The good news is that two years later, I won a silver medal at the World Driving Championships! Sometimes what doesn’t kill you makes you stronger. What is the most inspiring thing to have ever happened to you with horses? The most inspiring horse for me was Jamaica, who went from being destined to slaughter to winning a WEG silver medal. It really teaches you that you must never prejudge a horse. There’s always going to be horses out there like Jamaica. Horses who come into your life, and you may be not even sure why. And when you work with them, they give you their all. Jamaica not only inspired me, but also countless people and horse owners from around the world. What was the hardest lesson you have had to learn in your riding? Humility. I am a perfectionist. Often when trying to learn new things, you need a little humility, and that’s a hard lesson for people who are perfectionists. Michael Freund has been my mentor since 1998, and it’s very unusual to be able to work together with someone for that length of your career. If you could drive a horse from the past, who would it be? I would drive a horse named Paledo who was driven by Ijsbrand Chardon of the Netherlands. He was a super horse, a real decorated winner with several world championship driving titles. If you could drive a horse right now, that is not your own, who would it be? Valegro would be a nice addition to the Four-in-Hand team. How do horses keep you grounded in the industry? I think horses are great for keeping you humble. Anytime that I see people get too big or too arrogant, the horses seem to always put them right back in their place. I think people who have been at the top of the sport for a long time grow a certain kind of humility. Since you can go from hero to zero pretty quickly in our sport. Ben & Jerry’s S’mores ice cream is my favorite right now. When were you most happy with a horse? I am happy with horses all the time, but it’s especially rewarding when they are young and coming along, and the potential that I saw in them starts to become a reality. Those are the really gratifying moments for me. For example, my horse Gouvernor who I have had since he was a 3-year-old, at our last competition in Kentucky, he really showed that he can do the big leagues. I have had high hopes for who he would become and what he could do, so its great to have those come to fruition. I don’t care if we are training at home or competing, but when they do show you those moments it is very special. If your top horse were a famous person, who would they be? Para, who is 19 coming 20, would probably be like Dennis Rodman. He’s just a peculiar horse. He doesn’t want to work for everybody. He weaves in the stable. If you tried to sell him, he would be like a boomerang—back in a week or two. He has won so many medals, nationally and internationally, but he is peculiar in that you have to work with him under his conditions. What is one piece of riding clothing or equipment you could never do without? What is your helmet of choice and why? Charles Owen Gr8, for its comfort and secure fit. Which famous clothing brand do you wish would come out with an equestrian line? What is your biggest splurge to date when it comes to your riding and/or horse(s)? What is the best piece of riding advice you have ever received and from whom? “Nothing good is learned from bad experiences with horses.” I thought that Teri Kessler had said that, however she actually says that it wasn’t her.